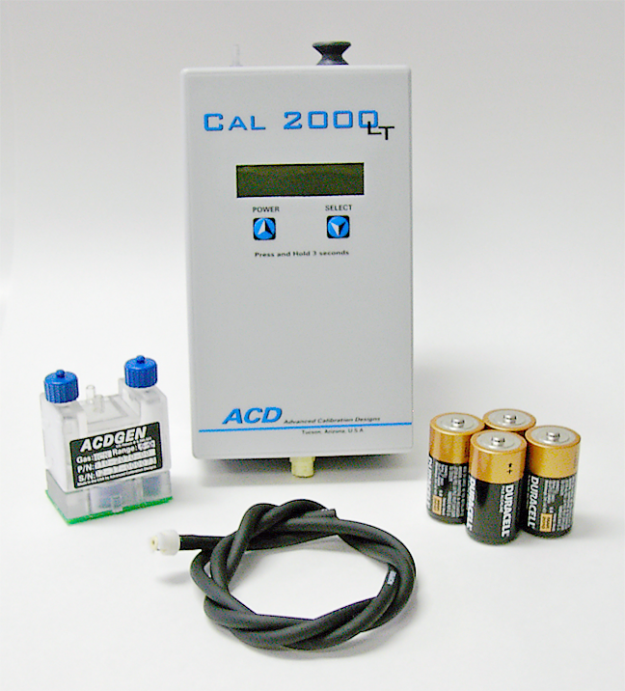 Envirosafe Ireland suppy the CAL 2000LT Calibration Gas Instrument (750-0603-LT). Mass flow feedback and source monitoring provide our highest level of accuracy. Field replaceable calibration gas sources (generating cells) provide a calibration standard for accurately testing Chlorine, Hydrogen, Hydrogen Cyanide, and Hydrogen Sulfide gas detectors with a single instrument Calibration gas sources (generating cells) are rated at ten or twenty-five hours over a range of 1 to 25 PPM in whole PPM increments.